What a tragedy! Life is stranger than fiction!! I am very glad that you are back safe and sound! This really reinforces how fleeting life can be and make me think twice before complaining about the petty things. Re: Twitter…amazing how powerful of a communications tool social media has become. Quite profound! I’m looking forward to seeing your pics! Thanks for your kind words – I actually didn’t spend much time behind the camera in Mumbai. I even left it in the hotel room on the first day, so I could fully enjoy the city without distancing myself from it by putting myself behind a lens. The photos currently on Flickr are the only ones I took during my brief stay in Mumbai. 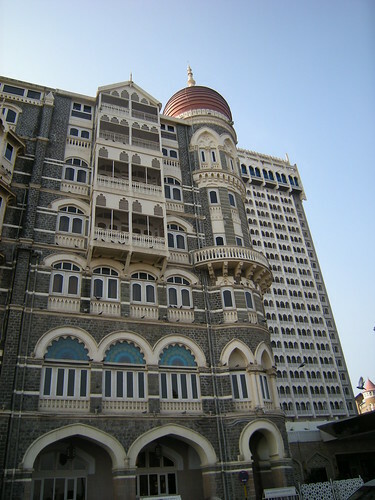 That said, I have created a Flickr group for the Mumbai attacks and invited other Flickr members who have documented the tragedy to add their photos to the group. A few have accepted my invitation. I admit that I don’t have the heart, yet, to look and upload the hundreds of photos I took throughout India. I’ll post them at a later date.